Furuno Navnet Multi Function Displays (Chartplotter). Our NavNet Multi Function Displays (MFD) are designed to be the most ergonomic and functional displays you've ever seen. The touchscreen or push button displays challenges the conventional menu operating system with a whole new concept, the RotoKey on-screen revolving menu key. 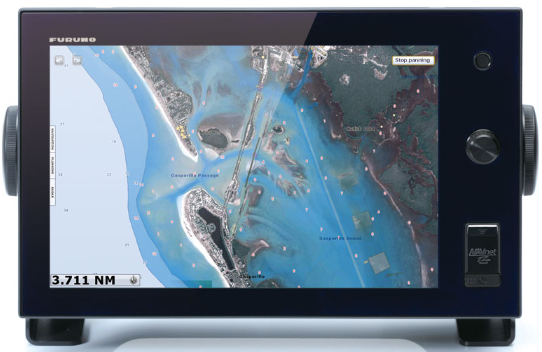 Fast, reliable and compatible, NavNet Time Zero and 3D make for the best navigation, communication and fish-finding experience. Integrate any amount of sensors from chartplotting to Autopilots to Fuel Monitoring. We also carry Radar Sensors, GPS/WAAS Receivers, Fishfinders, and more - NavNet makes it happen.